always assert that she was one of the most influential. Derided in her time as a fraud and a crank, her interests, enthusiasms and visions of the world went on to shape generations of religious seekers. She was a hippy, a New Ager and a self-help freak long before those things existed. She is one of my great heroines, and Gary Lachman’s excellent biography of her is one I think everyone would enjoy reading. The problem with writing about Blavatsky is that you will, almost from the first page, be insulting someone. She remains a polarising figure, and Lachman (also known as Gary Valentine, bassist from the legendary pop band Blondie) does his level best to tread a kind of middle ground. His admiration for Blavatsky is palpable, but he also records fairly those parts of her story that are more open to criticism. On balance I think he is probably a little too reverent, and plays down some of the outrageous campery of Blavatsky’s Victorian mysticism. 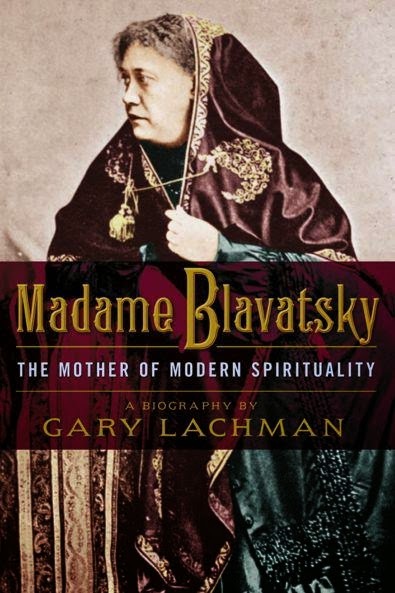 But Madame Blavatsky: The Mother of Modern Spirituality is still a fun read, and will be a revelation to anyone who has yet to discover more of Blavatsky’s life. H. P. Blavatsky was, of course, the founder of the Theosophical Society and the author of two tremendous compendiums of esoterica: the enormous Isis Unveiled and the even more enormous The Secret Doctrine. Both books are almost unreadable now (though Lachman is enthusiastic about them, while still conceding that they are best read in short bites for inspiration and stimulation), but in their day they were literary sensations, engaging the criticism and comment of some of the greatest intellectuals and thinkers of the time. Blavatsky was herself a mysterious Russian émigré, a chain-smoking, world-travelling prophetess who exerted a tremendous charisma and eventually attracted into her orbit an American journalist and Civil War hero, Colonel Henry Steel Olcott. Together they formed the Theosophical Society, which would go on to become one of the most influential and energetic religious movements of the late nineteenth century (and, incidentally, a very important and powerful group in Sydney up until the late 1930s). Lachman tells us of the problems with Blavatsky’s “Buddhism” in a globalised age in which we now have a very real understanding of Tibetan Buddhism and can see little of it in Blavatsky’s work. 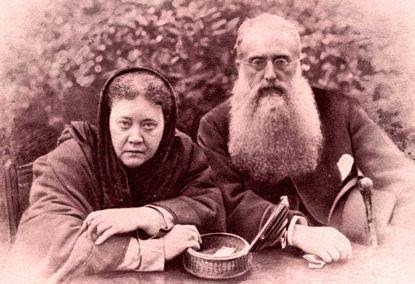 And while the early Theosophists posited themselves as Buddhists, Blavatsky herself was too much of a spiritual tourist to linger for too long with this appellation. Though she and Olcott took refuge as Buddhists in a formal ceremony in Ceylon, Blavatsky always saw her teachings as wider-ranging and more mystical. Olcott, however, became quite a serious Buddhist, designed the Buddhist flag that is used today and is still revered in Sri Lanka as one of the great revivers of the Sri Lankan Buddhist tradition. She also managed to materialise letters, cups, telegrams and all manner of things. 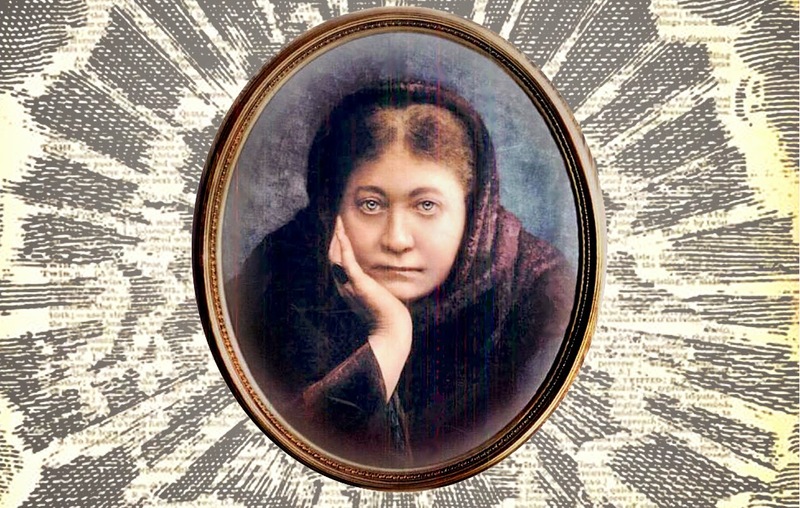 Such phenomena attracted the wrong sort of attention, and eventually the Theosophical Society – and Blavatsky in particular – were investigated and found fraudulent. This caused Blavatsky a great deal of heartache, and still remains a controversial fact to this day. Some have claimed to have resurrected her and her reputation by examining the original investigation and found it wanting. Others don’t accept this revision. This biography is superb, and immense fun from beginning to end. Reading it, you are constantly reminded how hugely influential Blavatsky has been on our own time, and pleased at her sheer outrageousness and joie de vivre. Reading Gary Lachman’s book left me aching for more lives lived with such daring, such drama and such pleasure. Read Gary Lachman in the Huffington Post writing about why Jung is important. To purchase Madame Blavatsky postage free, please use this LINK - you will also support this Book Club. For other books, or if you are buying from outside Australia, we have links to your upper right. They all return a tiny % of your purchase to us to support this entirely voluntary website. We also welcome your comments! Comments' box below.